I made a comment about this cartoon about a week ago. I was waiting for you to say something about it but it looks like it did notÂ go through, hmmmm. I said something like this. 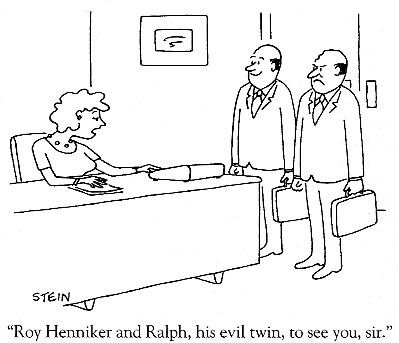 I agree with the cartoon and I think I remember one of the Columbo TVÂ shows did that twin thing.